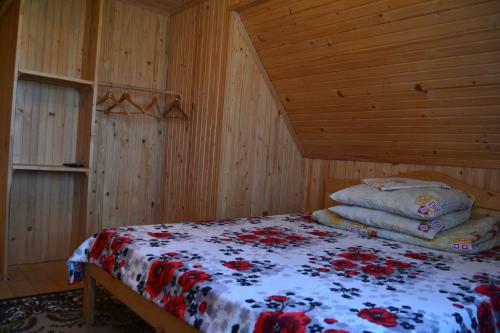 Guest House Potik is situated in Heroiv Maidanu Street 40а in Yaremche just in 4 km from the centre. 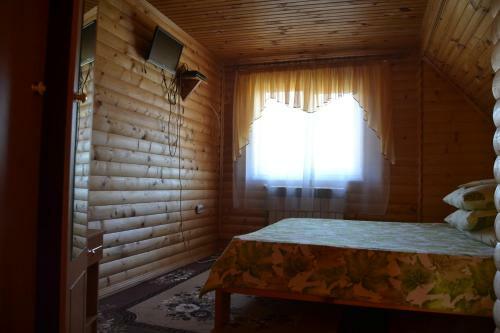 The closest Ivano-Frankivsk Airport is located in 52.3 km from the guest house. You can take advantage of a whole range of amenities: spacious playground, laundry service, bBQ facilities, smoke sauna, car lot, internet services, it's allowed to check into with pets, shared kitchen. Travellers can use cash-only payment. Staff is fluent Ukrainian, Russian, Polish, English, Czech. 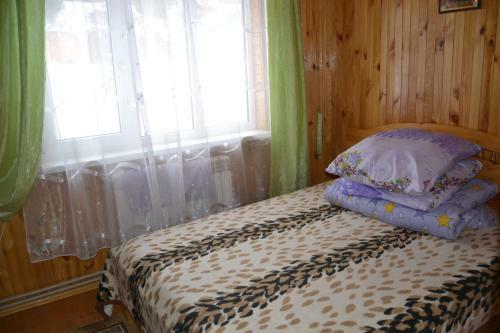 For guests' cozy accommodation is offered only one room type - double in the guest house. Here are proposed facilities such as kitchenette, refrigerator, microwave, dining table, clothes rack. You will enjoy a mountain view from your window. 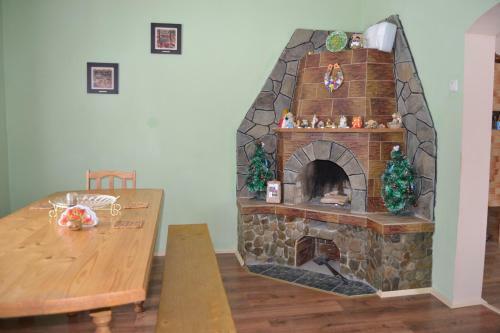 This double room has a dining area, kitchenware and toaster. Pets Pets are allowed on request. No extra charges. Children and Extra Bed Policy All children are welcome. All children under 12 years stay free of charge for extra beds. The maximum number of extra beds in a room is 1.